Marketers typically use the consumer data they collect in order to create the story of the consumer. Instead, marketers should interpret the data to allow consumers to create and tell their own story. Consumer data, and the interpretation of that data, tells marketers the story of the consumer, but it can be more powerful when you use consumer data to allow consumers to create their own story. For example, user generated content is successful because people want to document and share the unique experiences of their life with others. 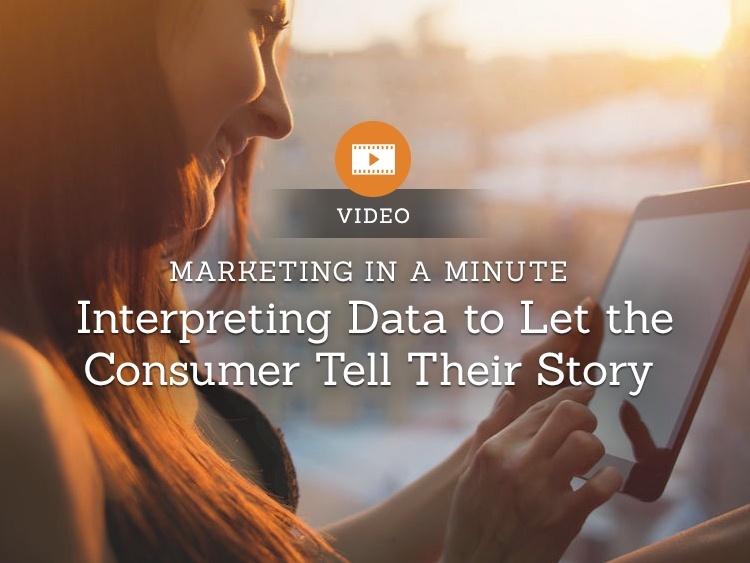 The first step to letting consumers tell their own story is with accurate data interpretation. You have to understand who they are and what they want in order to provide them with opportunities to tell their story. A great example of this is Nordstrom. You can purchase in-store and have it shipped to your home. They have curbside pickup, purchasing by text, and a shopping app. You can shop at home and have your items waiting in a store fitting room so you can get in and out in 10 minutes. They let consumers create their own story, and yours will too if you know how to interpret their data.